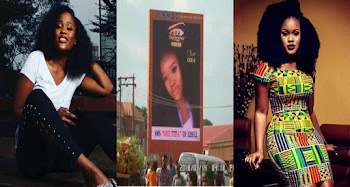 The fever of the ongoing Big Brother Naija reality show is aggravating with a group of fans taking campaign for controversial housemate, Cee-C, to the streets. A massive billboard has been erected by her supporters at an undisclosed area in the country to solicit for votes for her. 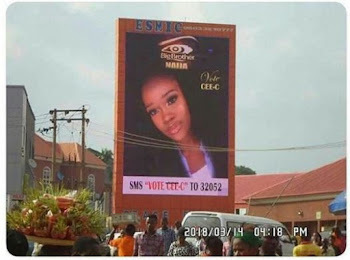 Cee-C has been involved in an on and off relationship with a University of Lagos graduate, Tobi at the Big Brother Reality show which promises the winner a whopping sum of N45 million.